Back in 1997, fourteen years after Return of the Jedi, George Lucas decided to reedit the original trilogy to reflect how he believed the films should be presented and enjoyed given the advances in technology between 1977, 1980, 1983 and 1997. At first, these Special Editions (SEs) were met with some interest and were released on VHS and Laserdisc. Given that the untouched versions (now known as George's Original Untouched Trilogy or GOUT) of these films were also available at that time on VHS and Laserdisc and the Internet was just becoming a part of everyday life, complaints were fairly muted at the time. The Connecticut Leather Company, popularly known by its moniker Coleco, certainly had an interesting role in the history of video games. It started by making dedicated game consoles in the Pong-era which were marketed as the Telstar series. 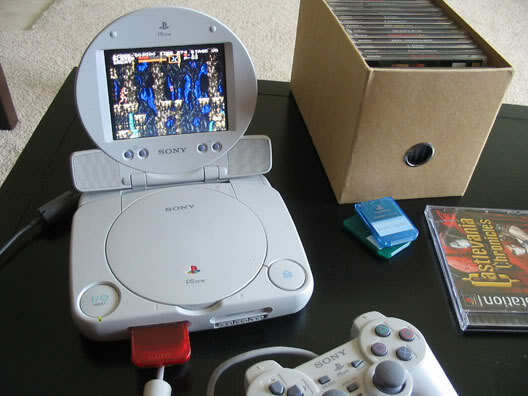 They also made a line of well-received hand-held conversions of arcade games, the mini-Arcades. 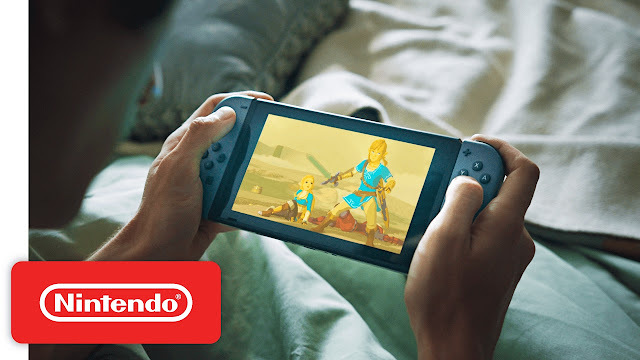 Finally, they turned their hands to marketing a game console, the ColecoVision, and a home computer, the Adam. But when the video game crash wiped out all the consoles of the 2nd generation of video games, they were left to selling Cabbage Patch Kids dolls and other toys to survive for a time. The costly failures of their video game ventures brought them to liquidation by the end of the 1980s. In 2005, the Coleco brand was reintroduced to the general public by West River Holdings (WRH), a company that revitalizes older trademarks. Companies like WRH look for trademarks which have been dormant for some time but had been previously been associated by the public with a successful product or service. These trademarks could simply discontinued by the user of the mark or abandoned when the owner went out of business. WRH typically forms an LLC to manage and promote each trademark it acquires. In Coleco's case, it was Coleco Holdings, LLC. In 2016, WRH and its brands were purchased by Dormitus Brands, another trademark holding company. For the remainder of this article, where it is necessary to distinguish the two, I will refer to the original Coleco, the company that was sold in the late 1980s as the "old Coleco". The WRH incarnation will be referred to as the "new Coleco". Let's discuss the legacy of the old Coleco vs. the new Coleco. 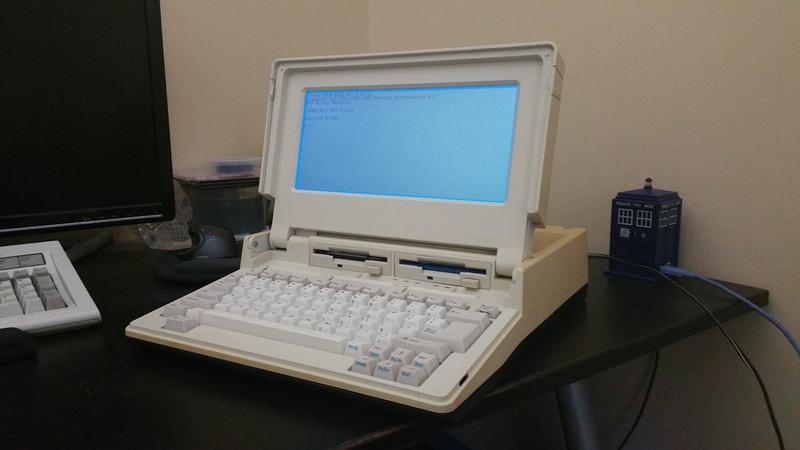 Recently I acquired a Tandy 1400 LT Laptop computer, so as tradition seems to demand, I will talk about my impressions of the machine, tips on how to use it and mistakes to avoid. The Tandy 1400 LT is Tandy's first IBM PC compatible laptop. As the 1400 LT is so very much a mostly-improved clone of the IBM PC Convertible, it makes sense to compare the two products. Here is a problem : You live in an area where there are a almost a dozen movie theaters showing first run films within a 25-mile radius of your house but you are almost an hour away away from a major city. You want to see a large budget, action and spectacle heavy film. This means you want to see it on a big screen with a powerful sound system. The same screen may not be necessary for an intimate drama or a raunchy comedy, but when it comes to action, bigger is usually better. The biggest films, especially action/adventure films, tend to be shown on more than one screen, at least on opening weekend. Today, many of the big films are converted to 3-D, even though most were not shot with 3-D in mind. In the theaters around me, there will be separate screens devoted to the 2-D version and the 3-D version. A couple of theaters near me have a giant screen. Showcase Cinemas and AMC refers to their giant screen as IMAX (licensing the trademark) and Regal Cinemas calls their screen RPX. These will always show the 3-D version of the film. In the upcoming years, there may be a battle between the two chains and their competing 4D technologies, (Showcase uses MX4D, Regal uses 4DX) but that is the subject of another blog entry. I saw Kong : Skull Island on the local-ish Showcase Cinema's IMAX screen. Some commentators have derisively called these screens "LIEMAX" because they are smaller than a true IMAX screen. While there are dedicated IMAX theaters in my state with the enormous screen, they are much further away than the local IMAX. The local IMAX gives a very good presentation compared to non-IMAX sized-screens. I saw Star Wars Rogue One in the 2-D version at the Regal Cinemas theater and was very disappointed with the size of the screen. Not only was it small, it was noticeably offset from the center of the room. I have a suspicion that these shoebox theaters may only be using 2K projectors, the industry standard is to use 4K projectors. The movie deserved better. The problem is these cinema chains only show the 3-D version of the films. If you want to see a 2-D version of the film, you are often left with small screens and small theaters that just don't do the action on-screen justice in this day and age. While the 3-D conversion of Kong was without major flaws, the glasses I had to wear were uncomfortable and tended to fog up around the bridge of the nose. You simply cannot take off the glasses and expect to enjoy what is on the screen, it will appear blurry thanks to the dual projection of the 3-D images. I find that 3-D does not particularly add much to a film that was not shot with 3-D in mind. On the other hand, when the film was shot with 3-D in mind and projected on a huge screen, as was the case with Gravity, the experience is incredible. Moreover, a 3-D conversion does not reflect the director's intent unless the director supervised the process. There are also 4D conversions of films that add moving seats and other tactile sensory perceptions, but that kind of gimmickry only reflects the studio's intent, not the director's. While I am on the subject, Showcase Cinemas has a dizzying array of theater options. Depending on the theater, you could have choices of a 2-D screen, a 3-D screen, a Lux Level option for each ( with food service), an IMAX 3-D screen, an MX4D screen (motion seats and sensory effects) or an XPLUS screen (featuring Dolby Atmos sound). There are also a few SuperLux theaters that seem more focused on comfort and food than a pure or traditional moviegoing experience. Offering a comprehensive experience with a restaurant, bar, comfy seating and in-movie service does seem to be the trend in upscale movie theaters. 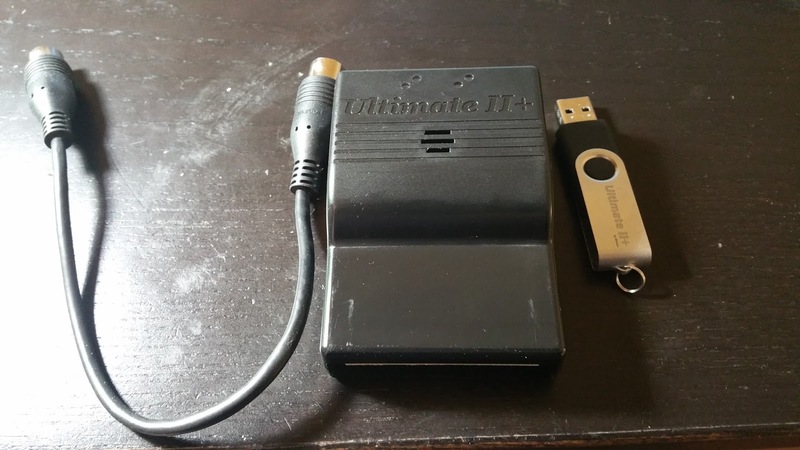 My friend Cloudshatze generously ordered me an 1541 Ultimate II+ Flash Cart (U2+). The 1541 Ultimate flash cart series has been around for quite a few years, but the U2+ is the latest iteration of the device. It was released in December, 2016. In this blog entry I will give information about it and my experiences with it. Bankswitching in cartridge based games is most famous on the NES, especially its Japanese version, the Famicom. The NES, Famicom and their unofficial clones were popular in many parts of the world, but the inherent limitations of its 8-bit CPU required software developers to devise ever more complicated systems to increase the amount of memory the system could address. But the NES did not invent bankswitching. Most, but not all, 8-bit home consoles, home computers and handheld systems had cartridges with extra hardware to allow the system to address more memory. 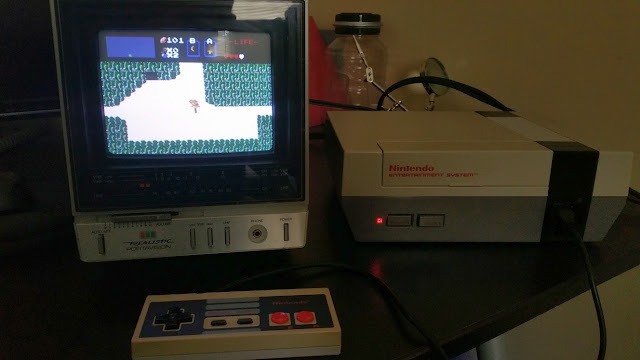 In this article I will trace the evolution of that hardware outside the NES and give links to sites and documents where the user can find more technical information.